The first responses came from Elinor Carucci, Michael Itkoff, Jackie Nickerson and Alessandra Sanguinetti. Today we continue the series with a response from Chris Verene. 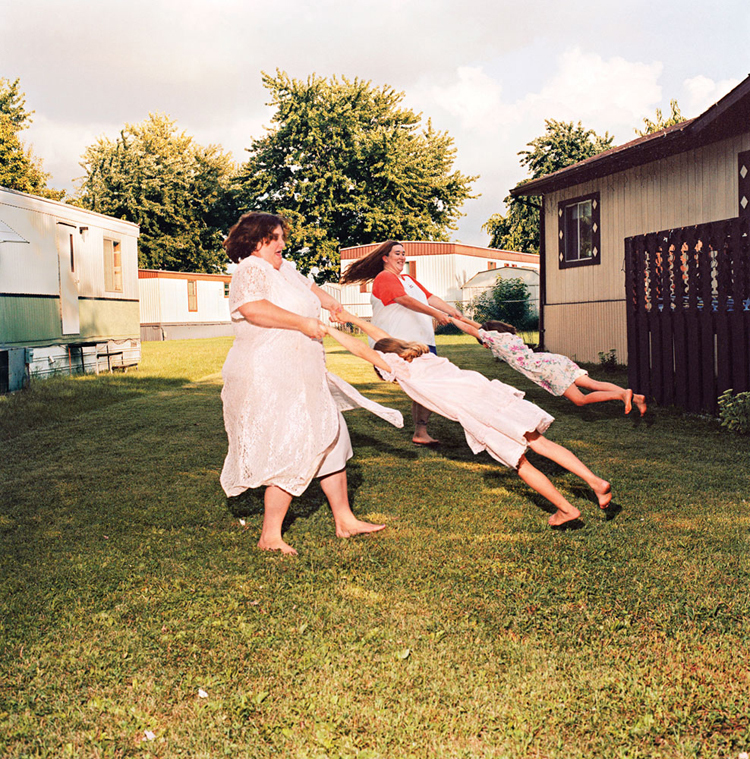 Chris Verene has been photographing three generations of his family, since 1984, in Galesburg, Illinois, a small town in the Midwest. Verene has been called a natural storyteller, focusing on the whole intimate truth of human narratives. Verene's work is in numerous major museum collections, and in 2001, was the first photographer to receive a Pollock-Krasner Fellowship. He has been published in several books, including his 2000 self-titled monograph by Twin Palms Press, and a Phaidon photography history entitled, "Theater of the Face, Portrait Photography Since 1900." Verene is also a filmmaker and musician. ARTFORUM praised Verene as "depicting people with a combination of respect and clarity." In 2011, Verene's work was exhibited at The Tate Modern, The San Francisco Museum of Modern Art, and The Walker Art Center. His new photography book, "Family," accompanies a traveling solo exhibition throughout the United States in from 2010-2014. Verene is represented by Postmasters Gallery in New York City. Verene lives and works in New York City, and is currently working on stills and a feature documentary motion picture entitled, "The Self-Esteem Salon." Verene is the Photography Program Coordinator of The College of Staten Island at The City University of New York. 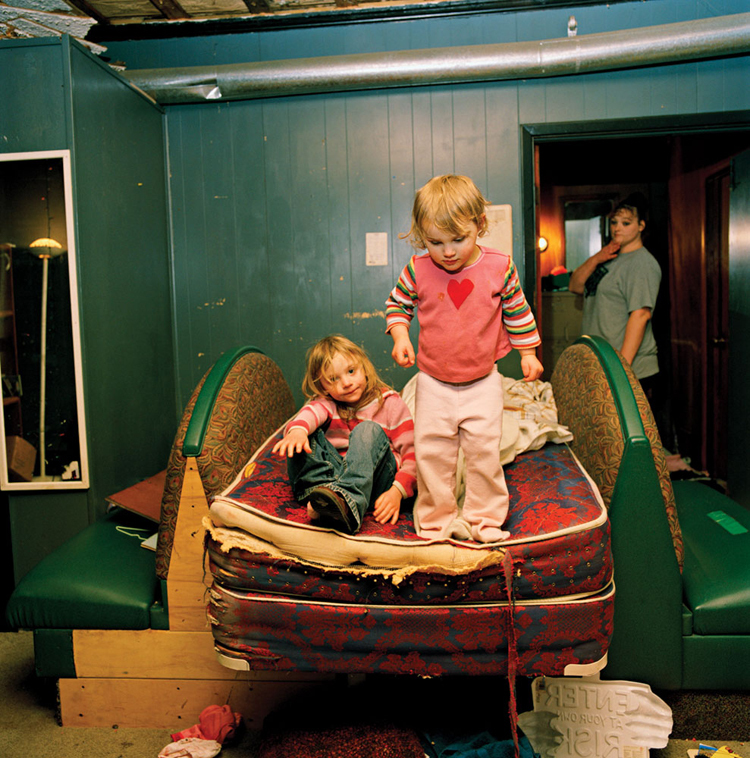 "Amber Got Her Girls Back, And Now They Live In The Abandoned Restaraunt," 2008 © Chris Verene, From the series, "Family,"
Most of the photography projects that I make remain in their "middle stages" for 10-20 years. I begin them without a plan, and discover what it is all about after I've been doing it for a while. I look at the pile of pictures, and try to figure out what I was doing right versus a mistaken approach. I use a pile of work and journal entries to guide the next part - to get to the middle of the project. I think the photography of real things (documentary, portraiture, still life, and so on) can be summed up in two ways: 1. Statistically, one benefits from a high volume of exposures. 2. Finding the best of what one has is just as hard as making it in the first place, and a high volume of images makes the task of editing even tougher. I suggest that the approach that one had in art graduate school is perfect to mimic in real life to get a project to grow properly. It doesn't matter whether one actually attended grad school, the model is still very useful: 1. Find a small group of 3-10 other artists for critique. 2. Agree to meet on a regular basis, maybe monthly. 3. Agree to have brand new work ready to show to the others. Make a sincere effort to give feedback to others, and expect the same. 4. Find one person, who is trustworthy, to make edits of your work. Require that person to make "final" (just pretend they are "final") choices that are not made by the artist's influence, and mix these with your own choices. 5. Pick a date by which things must be "final" and show these finished works in a mock exhibit or slideshow with a few extra invited guests. Poll their reactions to the "final" works. Repeat the process until somebody offers to exhibit one's work formally. At that point, one should panic. However, despite the possible feeling of panic, do not change the works from their present form for the exhibition. Do not make some new style or change the meaning of the work just because someone is now taking it seriously. Remember that one practiced developing this work several times with only a fictional monthly deadline for your critique group. A new deadline for an actual exhibition should be easier to meet, having practiced making and editing these photographs, or other lens-based works, ahead of time, without a real-world deadline. 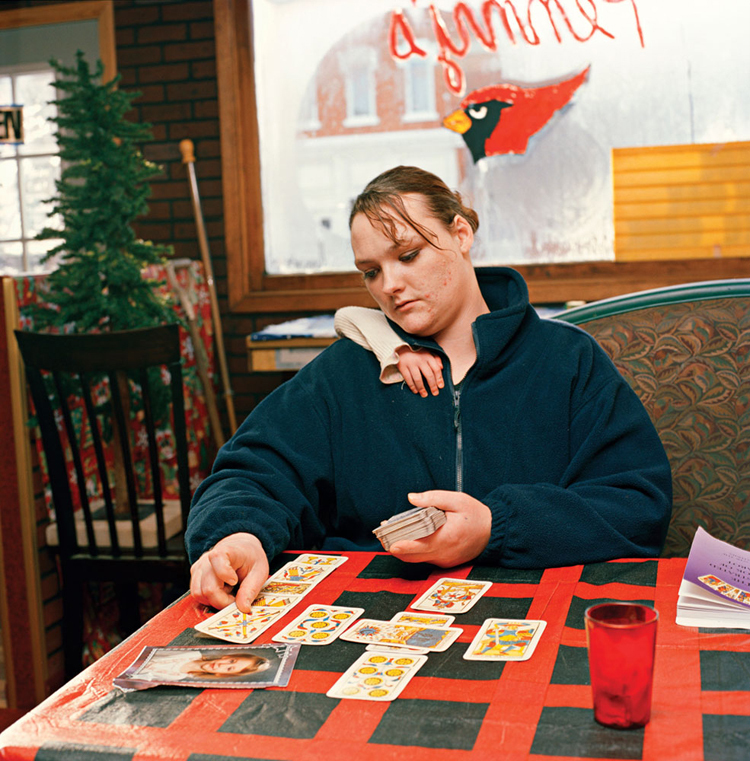 "My Cousin's Husband's Brother's Cousin's Cousins," 2004 © Chris Verene, From the series, "Family," and the book, "Family,"
"Nico And His Cousins On The Internet," 2010 © Chris Verene, From the series, "Family," and the book, "Family,"